The feel of fall is finally here! Leaves are slowly starting to change color, brisk mornings have arrived, and the pumpkin spice latte is back! Everyone’s favorite fall flavors are going to be in full force this season. Why not use them to put a fun autumn spin on a classic healthy snack dip—hummus. 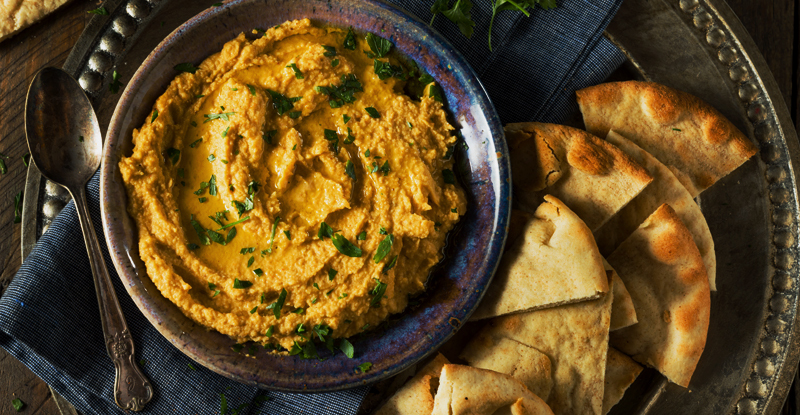 Here are four ways you can have fun with hummus this fall—whether you start with store-bought or make your own. Blend all of the ingredients together in a food processer. Chill and sprinkle with cinnamon and maple syrup before serving. Blend all of the ingredients together in a food processer. Chill and sprinkle with cinnamon before serving. Blend all of the ingredients together in a food processer. Chill and sprinkle with paprika and olive oil before serving. You can make any of these recipes completely homemade by starting with this plain hummus recipe. Blend all of the ingredients together in a food processer. Scoop any of these seasonal hummus recipes up with fresh fruit slices, your favorite crackers, or crunchy pita chips. Calories will vary from 50–100 per 2 Tbsp. serving depending on how much of each yummy additional ingredient you use! Can soda make you age faster?